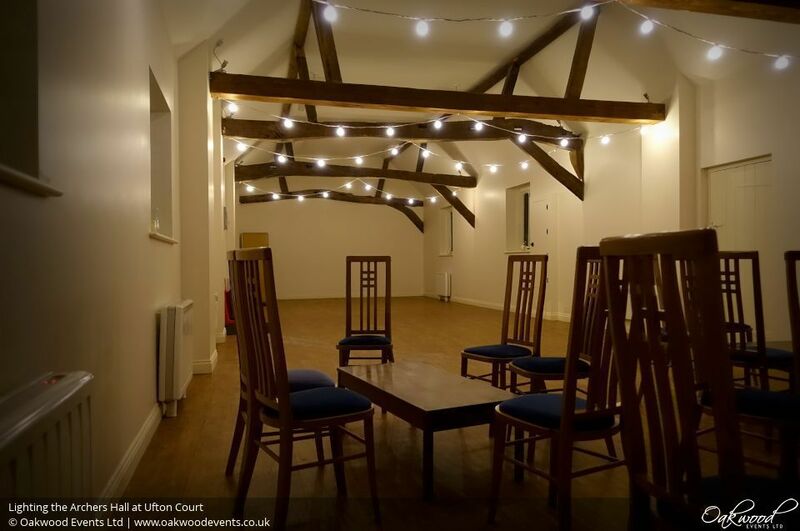 To make the hall that little bit more inviting, why not add some simple festoon lights under each of the wooden beams? They give a lovely soft glow to the room which means the bright fluorescent strip lights can be left switched off for a much more cosy feel. On this occasion we installed the festoon lights combined with a large fairy light canopy in the Tithe Barn, giving both spaces a little extra sparkle! If you'd like to discuss lighting for your wedding at Ufton Court, please feel free to contact us here.